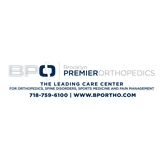 Center for Musculoskeletal Disorders/BP Ortho (Brooklyn) - Book Appointment Online! The Center for Musculoskeletal Disorders/Brooklyn Premier Orthopedics is a full-service practice serving New York and New Jersey. We offer a variety of orthopedic services and therapies ranging from acupuncture and traditional pain management to physical therapy and orthotics services – all under one roof. Our focus is to provide a comprehensive individual evaluation, and then tailor a treatment plan which meets your specific needs. With the latest in restorative orthopedics technology available, surgery no longer has to be the final answer. Whatever your diagnosis, our doctors will work to ensure you’re completely comfortable with the treatment plan. Our doctors accept both Workers Comp and No Fault Insurances. My visit was great. Drs. Peacock and Simhae were very professional. Very good visit. Very attentive doctor. Good advice. Improvement recommended - the documents filled out on zocdoc aren't the ones they use themselves (so you still need to fill out a few pages of docs). Would be much more efficient if the docs filled out online are the ones they could use. Also - still a mix up with my prescription. Never got phoned in to pharmacy and still waiting for a call back to remedy after two phone calls in two days. Operations within office seem to need some fine tuning, albeit everyone is very nice.